Ahmed Hassan Mekky stated in a phone interview that he would like to return to Al Ahly SC in the next transfer window and negotiations have already started with his parent club Haras El-Hodood. The 27-year-old striker who is currently on loan at Al Ahly Tripoli, said that the negotiations for his transfer to the Cairo giants are almost over as the club are waiting for El-Hodood’s financial requests to start with the transfer’s procedures. Mekky told Haras El-Hodood’s officials that he wants to transfer to Al Ahly after spending eight years with the team and giving all he’s got: “I told El-Hodood’s officials that I want to move to Al Ahly and negotiations are ongoing between the two clubs to complete the transaction,” he confirmed. “It is an honor for me and for any football player to play in Al Ahly but of course the decision is not mine right now but if I had the decision I would surely move,” he added. 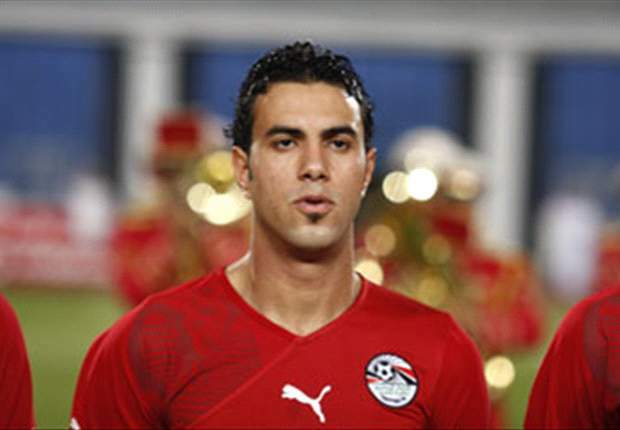 Mekky, who played for a long period with Al Ahly’s junior team before ending up with Haras El-Hodood, said that he thinks that the negotiations should be over in about a month. Mekky said that if negotiations stopped and didn’t end well he might consider another Egyptian club if he got an offer, but right now he has no other offers and since the only point left for the agreement is the financial issues, he doubts that he will go to any club other than the Red Devils.